Our Video Analytics Software fully optimizes any network of CCTV cameras to automatically detect, confirm and follow people and vehicles from close to long range, and at greater distances than any other Video Analytics Software. Reliably analyse with 4 times greater accuracy than any other Video Analytics Software in real-world deployments. Automatically create and grow your secure database of people, vehicles, and watchlists, from matching just a few hundred people and vehicles to recognizing many millions in near real time. Viseum’s Video Analytics Software uses the latest field proven know-how, methods, and concepts. Our Video Analytics Software automatically detects scenarios using wide contextual view cameras, and also automatically controls a moving PTZ Camera to further analyse the detection, to confirm and follow the incident. 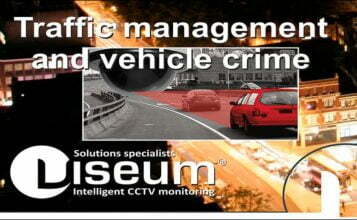 Viseum introduced Video Analytics Software to the world in the year 2000. Our International Patents is testament to our development and support of video analysis technologies for longer than any other organisation in the world. Our deep learning neural networks AI Video Analytics Software is called Intelligent Virtual Operator Software (Viseum iVOS). Our Video Analytics Software support infrastructure to deliver this security success has evolved over the longest period of time, to produce the most robust and highly effective routines turning innovation into practical Video Analytics Software solutions. Delivering the highest levels of CCTV security and surveillance for situational awareness in complex and challenging environments, our video analytics software provides line-of-sight CCTV surveillance. Working completely standalone for secure management via the Internet, or integrated with remote CCTV monitoring command and control, Viseum Panoramic Security Camera’s are proven to provide at least 25 times more court-quality evidence than any other camera solution, by giving greater coverage than multiple fixed camera installations and better performance than intermittently manned PTZ moving cameras. By automatically learning its environments, and ignoring rain and other movements such as trees and bushes blowing in the wind, the Intelligent Virtual Operator Software permits effective monitoring night and day in all types of weather (subject to available ambient or artificial light). 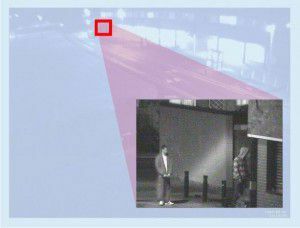 Incident detection and behavioural recognition capabilities are based on the study of objects in real-time environments, to meet specific salient surveillance requirements for populated and unpopulated open areas that generate random crimes. It measures and compares various parameters relating to the basic laws of physics, such as size, shape, time, speed, and location, and then applies decision rules based on local knowledge of the environment to recognize particular types of activity in particular areas. To achieve its excellent day and night detection performance and the quality of evidence required, Viseum Video Analytics Software uses fixed wide-angle contextual view cameras to the highest specification available for each remote site. These cameras are more sensitive than a human eye in low-light conditions, and combined with its disciplined automation in maintaining vigilance, our advanced Video Analytics Software is well-proven to detect activity in larger and more distant areas more effectively than a human eye. Matching the performance of its detection system, its fully automated reaction system uses the industry’s highest specification PTZ Cameras to automatically confirm incidents, and to maintain greater accuracy at distance providing consistent high-quality close-up evidence. Developed through listening and watching many UK CCTV operators, by default our analytics software uses a points system to select targets based on where they are and what they are doing. This means that if there are several activities meeting the same surveillance profile, the system will target the activity with the most points. Where multiple events occur simultaneously, it can be instructed to switch the PTZ Camera between events using this points system and the activities’ locations. This allows close-up evidence to be captured of everything and has the added benefit of preventing diversion tactics. Another key functionality of Viseum’s Intelligent Virtual Operator Software is its ability to automatically meet UK Home Office Guidelines for zoom levels required for court evidence. The method of selecting the appropriate zoom level is easily adjusted to meet local operational policies or individual user requirements. Integrated into command control legacy systems, or using Viseum’s Graphical User Interface (GUI), the PTZ Camera can be manually moved at any time. For rapid manned response, Viseum’s advanced ‘Point & Go’ functionality can be used to have the PTZ Camera go to wherever needed with just one click of the screen. Images of the alarm sent via MMS. As part of our Video Analytics Software libraries, standard surveillance profiles are available to fit the majority of real-life environments, and new profiles are produced for customized applications by our Remote Managed Support (RMS) services, who are on-hand to help ensure the surveillance profiles are optimized for each area under observation. These profiles are easily selected from a drop-down menu and any number of different profiles for any number of specific areas can be set for different times of the day over a seven day period. Criminal damage – catch people in the act and see where they come from and go to. Focal points for illegal activities – catch close-up evidence of offenders and evidence of their crime. ATM machines – catch and alarm people getting robbed and PIN skimming devices being attached. Drug dealing – focus on regular meeting points and catch transactions. To benefit from Viseum’s secure on-line remote camera control or post-event video retrieval, all that is needed to get started is familiarity with browsing the Internet. This browser-based GUI was developed by listening to end-user needs so it’s very familiar and easy to use. All that is needed to securely access Viseum’s GUI is a PC or laptop, using any operating system with any web browser software. Passive: Fully automated scouting for long-term deterrent and post-event video analysis. Reactive: Automated scouting to trigger alerts for fixed or mobile manned response. 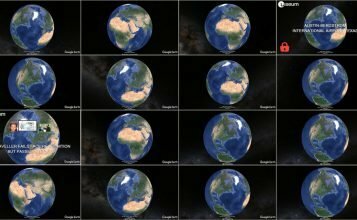 Manual override: IP web browser interface. HTTP or HTTPS access depending on security level required. Remote or local secure access from any fixed or mobile IP communications. Supports home and mobile working. User profiles: Each user or group can be given different permissions to administer and use the Viseum system. Adaptive GUI: The Viseum GUI automatically adapts its presentation to match the user’s profile. Track user activity: Comprehensive audit trail with user activity logs. Our advanced Video Analytics Software also provides unrivalled video recording for its surveillance camera solutions. Viseum’s auto-intelligent recording software runs directly with the Viseum iVOS software inside the range of Viseum’s iVOS NVR/DVR Camera Controller products. Optimised to be used remotely via entry-level wireless or wired TCP/IP broadband services, using any web browser. 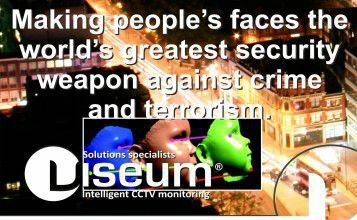 Viseum’s camera controllers use industry-leading UK Home Office compliant evidence authentication, audit trail, and communications security features to ensure the integrity of the evidence gathered supported by our Video Analytics Software. Court-quality evidence – JPG frames are time-stamped and watermarked and can be encrypted for authentication. 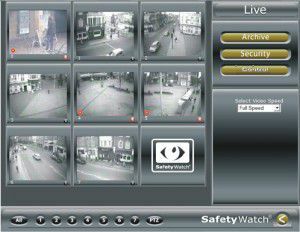 Synchronised extended dual evidence recordings – close-up recordings from the PTZ Camera are matched to the wide contextual view recordings. Optimised internet video streaming (latest secure YouTube techniques). Colour coded event thumbnail presentation. Bookmarks – for rapid event reference. With our Video Analytics Software, recordings are downloadable in user-selectable video player formats, and at various qualities, to match available investigation time: e.g. from rapid, low-quality images for local intelligence, up to the highest quality court evidence. Windows Media Player or SMPlayer. Viseum’s Multi-View Player – play all camera views at once to investigate the event and what else happened around it. 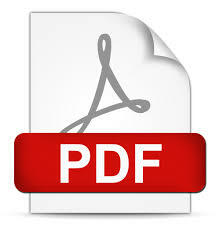 Advanced encryption privacy – option for images to never be viewed by any unauthorized persons. Person classification for intruder alerts. Smart searching (Viseum iVOS F3). Emergency seize of local hard drive data to USB memory device. 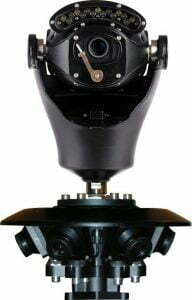 PTZ Camera ‘point & track’ or ‘point & go’. Local knowledge crime hotspot management. Optimised human/machine interplay with target selection. Operational database management for privacy issues and KPIs. The Viseum iVOS monitoring software operating system is based on our highly robust propriety Software Platform. This software package is available to support the many different hardware architectures available today. This makes hardware procurement both easier, and encourages the integration of the Viseum IMC technology with a greater number of third-party products. The Viseum Intelligent Video Analytics Software system is future-proofed by providing single pixel definition from its fixed cameras and matching PTZ Camera control accuracy. As camera hardware technologies improve, the Viseum system’s detection and intelligence gathering range and performance will increase with them. To ensure quality control and legal production of any product using our Video Analytics Software, an advanced licensing encryption system is implemented during the build process of any system using Viseum VCA software, using a variety of hardware certification processes. Immediate or potential hardware problems are dealt with as they occur using Viseum’s remote managed support (RMS) software watchdog and self-repair services. For ease and efficiency of maintenance, the unique local application configuration and certification is securely backed up on the iVOS Camera Controller’s compact flash card. The built-in Viseum protocol analyzer enables integration with any command control equipment using major brand PTZ Camera protocols to enhance the performance of any control room operations. Using the Viseum SDK and API, third-party products can be integrated with and benefit from enhanced Viseum VCA software functionality. The Viseum GUI is very popular and familiar. A selection of other GUIs can be used or a customer GUI can be produced. Any PTZ Camera protocols can be supported following quality control and patent licensing. This presentation shows how Viseum is leading the physical security industry, with the most advanced and constantly evolving surveillance technology.